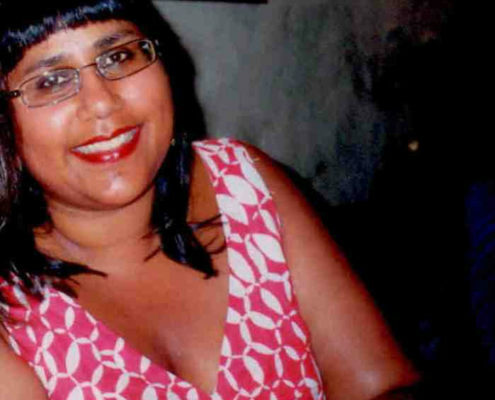 In 2010, Sharmilla Beezmohun co-founded Speaking Volumes (with Sarah Sanders) to help promote and bring international writers, unknown and established, to live audiences. As Speaking Volumes, she has worked with the European Commission producing literary events in translation and collaborated with EUNIC London to produce European Literature Night at the British Library. She was Deputy Editor of Wasafiri International Contemporary Writing and has worked in publishing at Virago and on Heinemann’s African and Caribbean Writers Series. Sharmilla edited the essay collection Continental Shifts, Shifts in Perception: Black Cultures and Identities in Europe (Cambridge Scholars Publishing) and, with Sarah White and Roxy Harris, co-edited A Meeting of the Continents: The International Book Fair of Black Radical and Third World Books (New Beacon Books). Her first novel was published in translation in Spain as Ecos de la tierra verde (Echoes of a Green Land).